500 Gram, 1 Kg, 5 Kg, 20, 25, 50 Kg JAR. Mail us for factory sale and Discounted price. Stock is available at Kandla, Visakhapatnam, Chennai - Ennore, Mumbai, JNPT, Surat, Kolkata, Haldia, Paradip, Fujairah, Dubai. 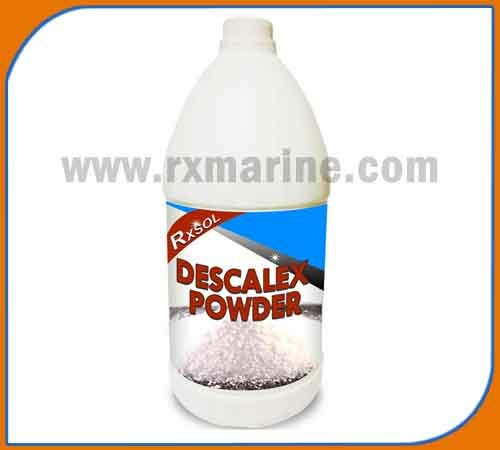 Descalex powder blended with corrosion inhibitor along with scale removing acidic powder for cleaning of rust and water scale deposits from water system. Presence of Inhibitor resulting to stop direct acidic effect on metal surface. Avoid aluminium, zinc, tin and their alloys and galvanised surfaces. RXSOL DESCALEX is chemical compound and should be handle with all chemicals handling precaution like use chemical protective goggle, Hand gloves etc... For more details pl. 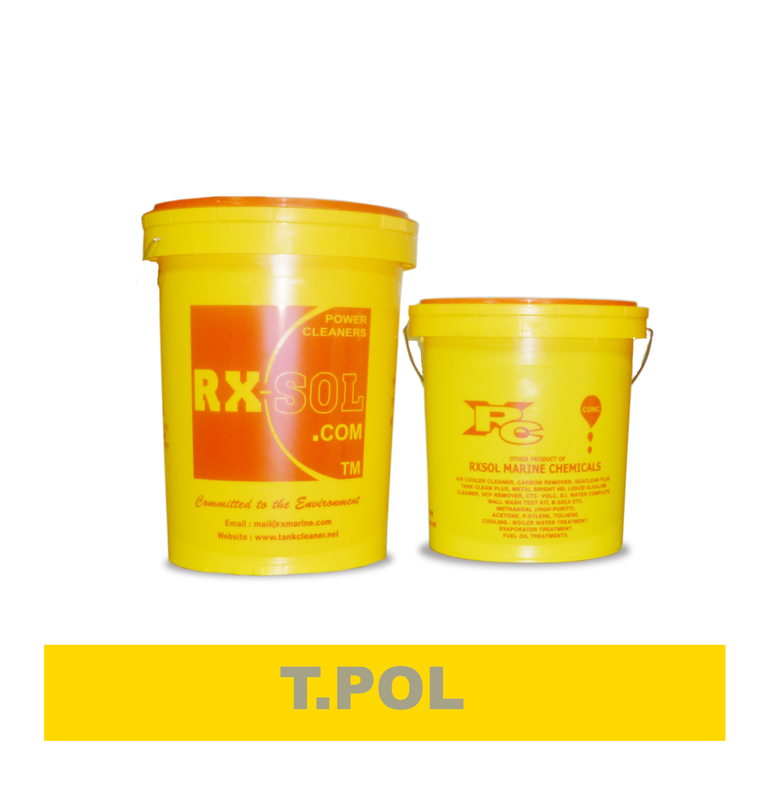 refer RXSOL product MSDS. 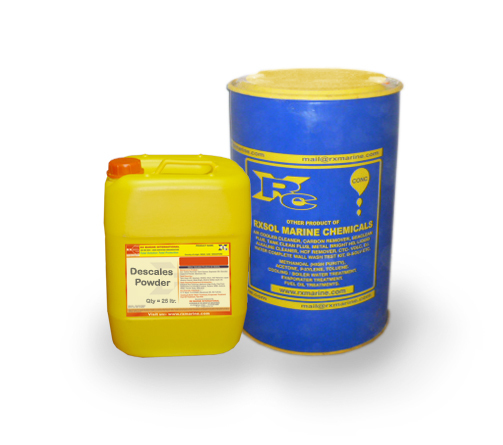 Dry acid descaling cleaner suitable for Boilers, Diesel Engine Cooling Water Systems, Condensers, Evaporators, Calorifiers, Heat Exchangers etc. • Dry acid cleaner contains inhibitors to protect metals. 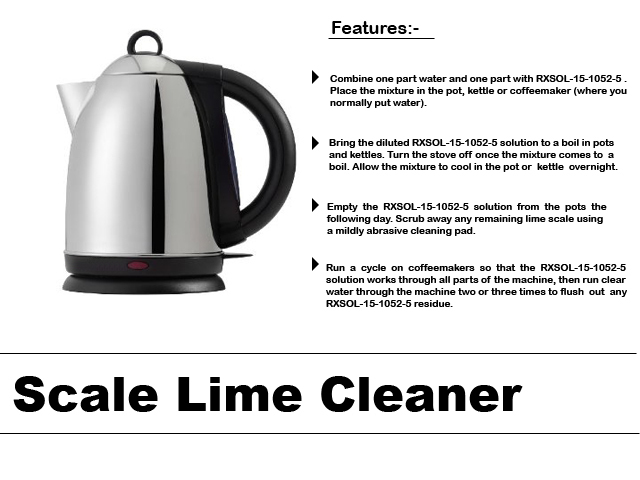 • Contains colour indicator to show the strength of the solution and anti-foam agent. • Safe and easy handling and storage. • Fast and effective scale remover. • Removes scale from boilers. • Removes scale from diesel engine cooling water systems. • Removes scale and rust from condensers, evaporators, heat exchangers etc. 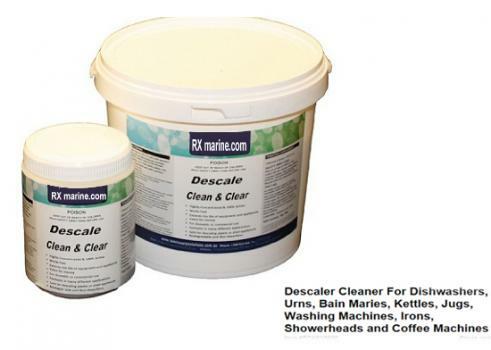 Depending on the nature of the scale and mass volume of contamination, use descalex powder with fresh water with a concentration value of 2 - 20 %. It means for light descaling 2 Kg Descalex powder can be dissolved in 100 Ltrs of water and if hard and thick deposition observed powder ratio can be increased up to 15 - 20 Kg in running cleaning solution. 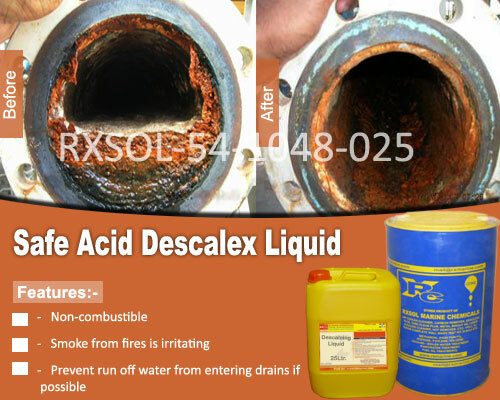 RXSOL DESCALEX improves heat transfer efficiency in heat exchangers and improve flow in pipes. RXSOL DESCALEX effectively dissolves calcium and magnesium scale, hard water scale and variety of deposits.